Conveniently located in the north Wellington Region, The Hutt Valley encompasses two cities, Upper Hutt and Lower Hutt, and what feels like endless amounts of regional and forest parks. With super handy transport connections between cities and to New Zealand’s capital, Wellington, The Hutt Valley is ideal for anyone looking to experience the great outdoors while having urban conveniences. The Hutt Valley is sheltered by the Rimutaka Ranges, so you won’t feel the extreme windiness that you might experience in Wellington. The valley follows the Hutt River down to the Wellington Harbour, offering attractive walks and bike trails along its banks. Whether you’re staying a while in Hutt Valley, or passing through for a spot of hiking or Lord of the Rings location spotting, there’s tons of activities to please any outdoorsy backpacker. Chill out or play disc golf at Harcourt Park. Hike the in the forest and to reservoir in the Akatarawa Forest. See where elves live in Rivendell, Kaitoke Regional Park. Have a coffee down Jackson Street, Peton. Get that perfect photo of the Baring Head Lighthouse, East Harbour Regional Park. If you’re looking for an attractive city which promotes an outdoorsy lifestyle, Upper Hutt might just be the place for you. The city has all the hospitality, accommodation and retail offerings that would please any working holidaymaker looking to find work for a while. Not only do you have the clear Hutt River flowing though the city, which is great for trout fishing, but you don’t have to walk far to enjoy parks and reserves. We recommend Harcourt Park for a spot of Disc Golf, an up-and-coming sport in New Zealand! It’s also a Lord of the Rings filming location for Isengard. Upper Hutt is the ideal base for exploring the regional parks of Akatarawa Forest, Kaitoke Regional Park, and Pakuratahi Forest. Biking, swimming, fishing, horse riding, hunting, quad biking: all of these can be done in the parks, many of which need various permits. But if you are WWOOFing on farms in the area or get to know some locals, then expect to have a lot of outdoor fun. For the rest of us mere mortals, there are heaps of walking tracks to indulge on the Hutt Valley scenery. There’s so many, in fact, that you’ll have to read the next sections for more information. This easy walk starts at the main entrance to the forest park: turn off State Highway 2 at Akatarawa Road towards Waikanae. Then turn left onto Karapoti Road. The road follows the Akatarawa River until it turns into a single walking track. The track rises high above the river and through a forested gorge. You’ll eventually reach a clearing by the river which is perfect for a swim. (If the weather is good, of course). This loop walk is more of a moderate level with a few climbs along the way. The start of the track can be found at Bridge Road car park. Follow State Highway 2 to Akatarawa Road, then turn off at Bridge Road. You can also catch the 110 bus from Upper Hutt to Bridge Road. Once you’re there, start walking! The first section of the walk is through forest to a dam and reservoir. From the reservoir lake, hike up to the hilltops and to Cannon Point for awesome views of the Hutt Valley. There are two options for returning down the hills and back to Bridge Road. The main entrance is at Kaitoke, north of Upper Hutt. Turn left off State Highway 2 at Waterworks Road and continue to the park entrance. Walks range from the “ridiculously easy” to “let’s get our tramp on”! The regional park is also home to Rivendell from The Lord of the Rings. Walk along the river terrace and among the forest on this wheelchair accessible walk. Follow the signs to this Lord of the Rings filming location complete with information panels. For more details, take a look at Guide to The Lord of the Rings in Wellington. Yay, swingbridge! Take in the views of the Hutt River gorge as you follow the river. Walk high on the skyline ridge to get some epic views. This walk is between Pakuratahi Forks and Te Marua, so arrange return transport if you’re going one way. On the east side of Upper Hutt is the lush Pakuratahi Forest in the Rimutaka Ranges. It is home to the 1870s Rimutaka Railway, which you can see on the Rimutaka Rail Trail. There’s also the Tunnel Gully picnic area with some short walks and mountain bike trails, as well as the hike up Mt Climie. Mt Climie is a prominent feature in the Upper Hutt area and is what shelters the city. The hike takes you through various vegetation the higher you go and provides excellent views. Start the track from the upper picnic area at Tunnel Gully, north of Upper Hutt if you turn off State Highway 2 at Plateau Road, Te Marua. Alternatively, take the 112 Te Marua bus from Upper Hutt to the end of Plateau Road, then walk 1km to reach Tunnel Gully. This track also starts from Tunnel Gully (see above for directions) in the lower picnic area. You’ll journey through a varying forest, including the sight of Collins Stream, a waterfall and Mangaroa Railway Tunnel. This is a walking and biking track. To get there, turn off State Highway 2 at Metal Road, north of Upper Hutt. A shuttle service can bring you back to the start point from the other end, Cross Creek at Wairarapa, for a fee. The moderate walk features historic railway bridges and tunnels, as well as swimming, picnic and camping areas. Lower Hutt, or Hutt City, is a coastal city on the lower part of the Hutt Valley. You can easily access Wellington city, which is a 15 minutes’ drive or the more cost-effective train and bus transport. Exploring Lower Hutt means exploring the suburbs, like classy Petone, Eastbourne with its popular beach, and Wainuiomata next to East Harbour Regional Park. Petone is the first European settlement in New Zealand. The suburb has had a rocky history with flooding and earthquakes, which moved people out to develop the city of Wellington. Yet Petone remained experiencing decline then regrowth. You can learn more about the history of life in Petone at the Petone Settlers Museum. Now people come to Peton for the renowned Jackson Street where its said to be the walking ground of New Zealand’s rich and famous. You can also fill your bottle at the water fountain from the natural artesian spring which runs underground. Find the water fount at the end of Jackson Street. Additionally, Petone Wharf is the start and finish point for the Rimutaka Cycle Trail, a 115km journey from the Hutt Valley into the Wairarapa region. This multi-day venture takes in the forest to farmland to coastline. The East Harbour Regional Park sits in between Wainuiomata and the coast. You are so spoiled for choice in walking and mountain bike tracks that it’s ineffective listing a description of each track. You can take any of eight tracks starting in Wainuiomata and walk through the forests and hills to get to the eastern bays of Point Howard, Lowry Bay, York Bay, Days Bay and Eastbourne. Download a map of the park here. Hikers will enjoy the tracks up to the Lowry Lookout and the Hawtrey Lookout giving the best views at the highest points in the park. Whereas those looking for a leisurely stroll should take the Kawhai Track to the Butterfly Creek picnic area. This part of the East Harbour Regional Park can be accessed at a car park along the Wainuiomata Coast Road. The main route has different points of interest along the way, such as the Old Pump Shed, climbing boulders, Baring Head Lighthouse, and WW2 bunkers. You’ll follow track at the base of a river ridge towards the coast before heading up and back along the ridge, taking you back to the start point. Who doesn’t like a convenient loop walk? Bike or walk the 29km Hutt River Trail between Petone and Birchville. Between Moonshine and Totara Park is The Lord of the Rings filming location for The Great River Anduin. Have some simple swimming pool fun at the H20 Xtreme aquatic centre, Upper Hutt. Catch a movie at the drive-in Firefly Cinemas, Upper Hutt. Get your dose of contemporary art at The Dowse Art Museum, which is free admission. 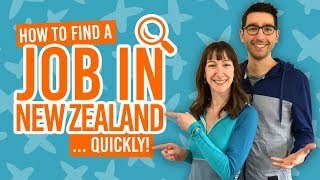 Where to stay in Hutt Valley? 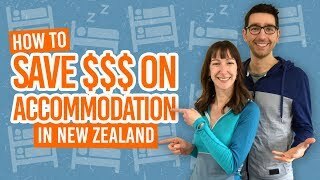 For more budget accommodation options for the Hutt Valley, check out our Accommodation Guide to Wellington Region and Where to Camp in Wellington.